Lightweight, compact and power-pact! The lower displacement models that make up Yamaha’s 2-stroke & 4-stroke Portable series are built light and compact so you can take them anywhere. They also have the power and reliability to take you almost anywhere. And Yamaha knows that wherever you go you want to get there as economically as possible and with no worries or bother. What about maneuverability? You simply can’t beat Yamaha’s 360-degree steering. And you’ll be glad to know that it also boasts the best fuel economy in its class. That means long hours of smooth, powerful running. 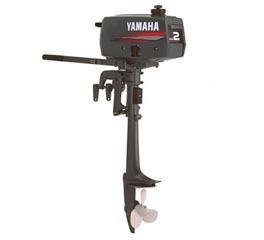 Of course, what truly sets our 2 & 4 Portable series models apart from the competition is not just their light weight and compactness but the fact that they have the same renowned Yamaha quality, technology and reliability as our larger displacement outboards.